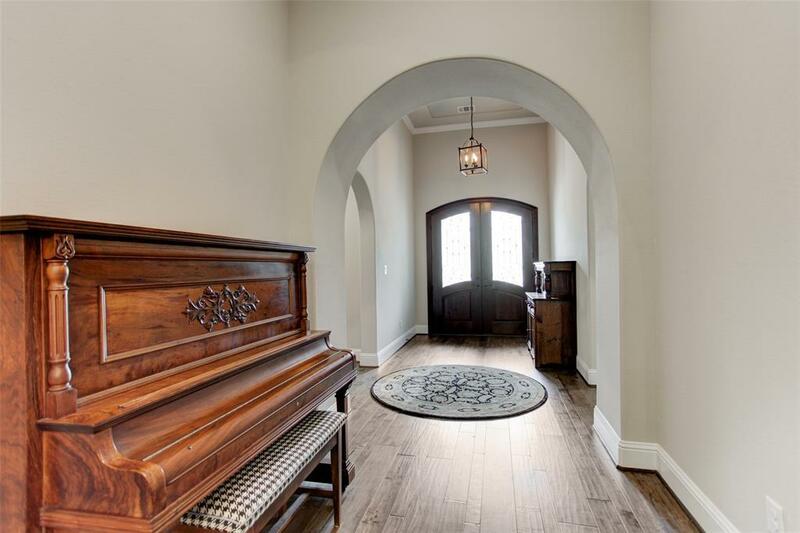 Barely lived in, gorgeous 1-story home in gated Russet Peak is ready for move in! Backs up to a green belt & is loaded w/tons of significant upgrades! 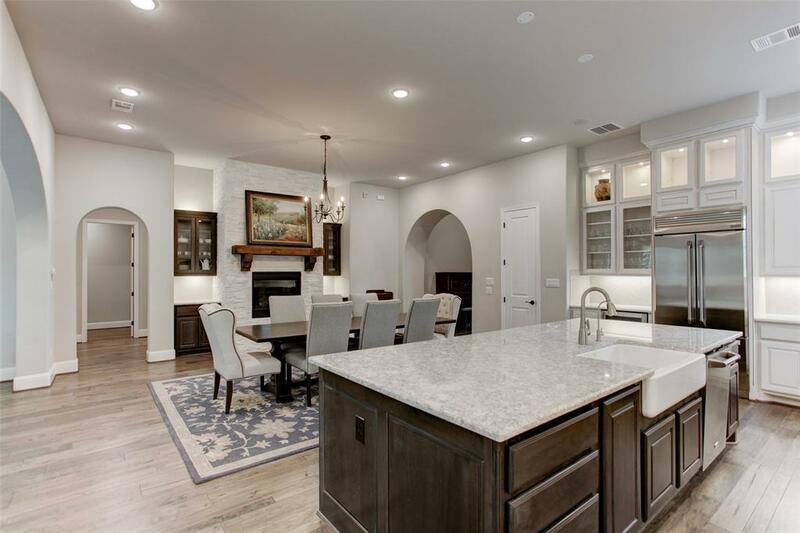 This well-appointed home boasts wrought iron double door entry, mesquite hardwood floors, a gourmet, light & bright kitchen w/an extended 10-ft island, quartz cntps, double ovens, ss appls, wine ref & huge pantry. 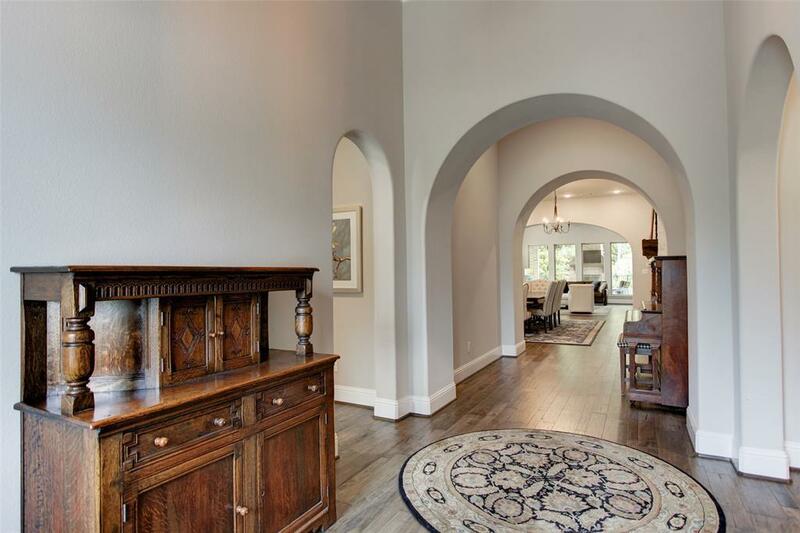 Large dining area has stunning gas log fireplace and a cedar mantle. Generous study overlooks the peaceful, private backyard. Custom cedar beams & impressive windows give the family room an open, yet cozy feel. Spacious bdrms are all equipped with walk-in closets & en suite bathrooms. High tech, extended media/gamerm features surround sound, wet bar, beverage ref and barn doors. 2 gas log FP's, 4 car garage w/epoxy fl, cvrd patio w/iron fence, 4 shutters, h20 softnr & more! 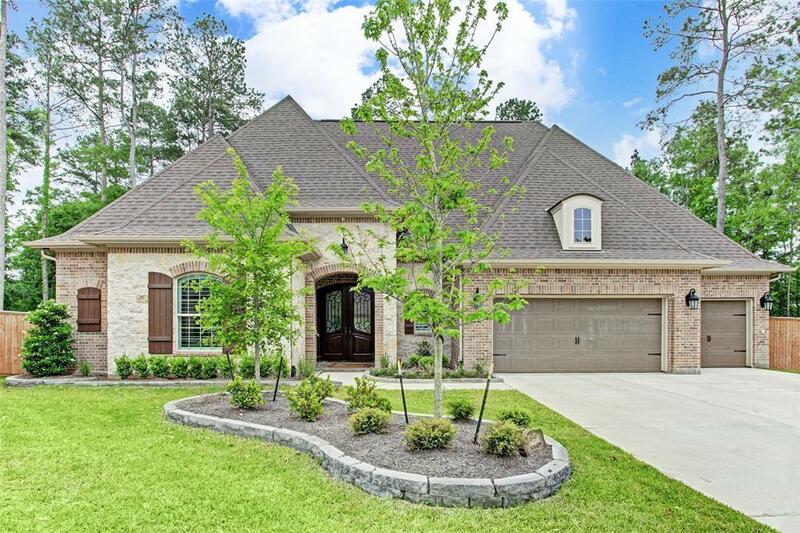 Walking distance to Forest Island, an exciting tennis and aquatics center in the heart of Woodforest!